The featured products feature had always been a popular marketing tool for our members. For those a little unfamiliar with the tool, within the pricing section of your account, you have the ability to assign up to 6 featured products for each of your custom pricing groups (which you then apply to any album you wish). 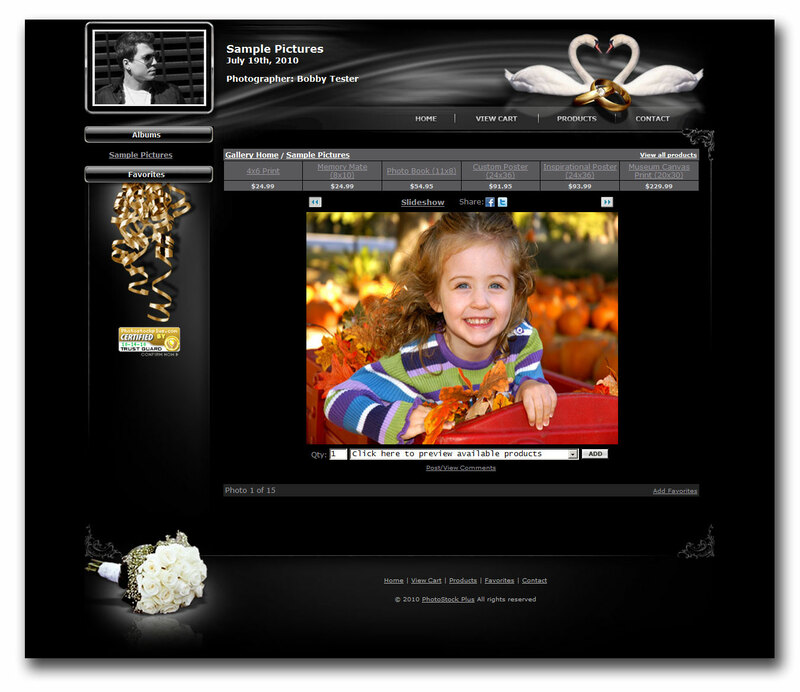 When featured products are assigned, while a customer is visiting your online gallery, these featured products are displayed above the image to entice clients to purchase these products. Think of it as planting a sales seed, or making your clients aware of a product or products that they may not have otherwise thought of purchasing. 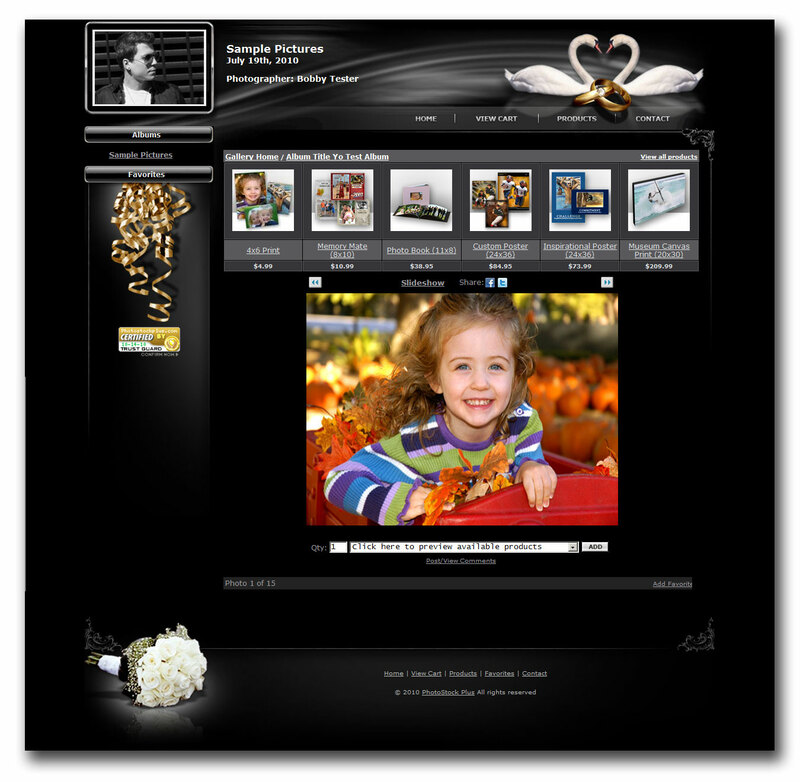 Originally, featured products were displayed on your gallery above the image using text only. Though the area these featured products occupied was minimal, globally, photographers who used this marketing feature next to those who did not showed a higher average client order. Taking the above into consideration, we will be increasing the visibilty of featured products by providing thumbnail images of the products you are featuring in addition to the regular text. This area will be more than twice as large, visually more appealing, and as many online marketing studies have proven time and time again, the more visual space you devote to a product, the more awareness a client will have of the available product resulting in an increase of sales. This change will be automatic and will take place tomorrow. You do not need to opt in or change any settings through your account. If you prefer the original text only version of the featured product display, an option will be available through the featured product section of your account where you may switch between the 2 display modes at anytime. For comeplete details on how to assign or remove featured products from your galleries, or how to switch back from the new display to the original text version, please visit our Featured Products tutorial page. As always, to recieve these updates as they are available, the best way is to follow us through Twitter or Facebook. Enjoy the new feature and stay tuned for a lot more goodies and developments in the next little bit. This entry was posted on Monday, October 18th, 2010 at 3:10 pm	and is filed under Blog. You can follow any responses to this entry through the RSS 2.0 feed. You can leave a response, or trackback from your own site. Ok, This doesn’t take up are size of available photos does it? The featured product preview will be a bit larger but the photo size remains the same. You can also disable featured products if you like so that they do not show at all as an option. THATS GOOD AND I LIKE IT.